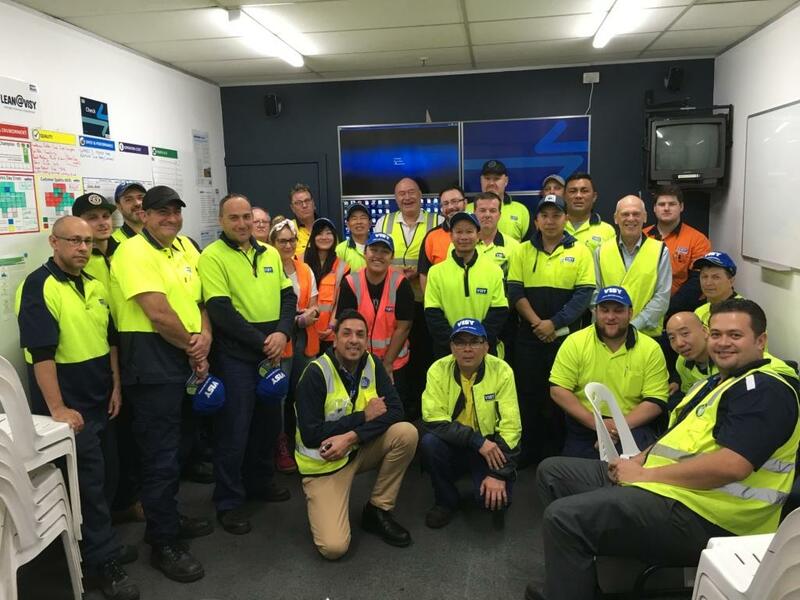 Visy and icare NSW have staged a series of ‘Stop for Safety’ events at five Visy sites across NSW to help support a culture of safety at work and drive down workplace injuries. Paralympians Nigel Smith and Kahi Puru, two members of icare’s Paralympian Speakers Program, have travelled to Visy sites in Sydney and Newcastle and shared their personal stories of workplace injury with almost 400 Visy employees. “I was a young man with a young family when I had my accident at work. I’ve experienced first-hand how devastating a workplace injury can be, not just for you, but also for your family and your friends,” said Puru. Jon Ward, Group Manager of Safety and Environment at Visy, said that icare’s Paralympic speakers formed a key part of this year’s ‘Stop for Safety’ initiative because of the powerful impact they’ve had on Visy staff in the past. “We’ve had icare’s Paralympian speakers visit other Visy sites and the impact of someone sharing their first-hand experience of a workplace injury cannot be understated. Our workers at these sites talk about the Paralympian speakers long after the ‘Stop for Safety’ event,” said Mr Ward. Adam Covington, Factory Manager at Visy’s Corrugated Carton Products Newcastle, said the feedback on the floor after the event was all positive and served as a morale booster. “Nigel’s talk was by far the most popular session of the day. His story was engaging and confronting, and really highlighted to our guys the impact an injury can have on our lives and the lives of our loved ones,” Mr Covington added. Jason McLaughlin, icare General Manager Prevention Product and Pricing, said icare’s Speakers Program, which is run in partnership with the Australian Paralympic Committee and is free for icare customers, was a great way to spread the message of workplace health and safety. “Stories like Nigel’s and Kahi’s bring home the ‘why?’ around injury prevention. With almost 11,000 manufacturing workers injured at work in the last 12 months, education, training and tools are crucial in building a safer work environment,” Mr McLaughlin concluded.